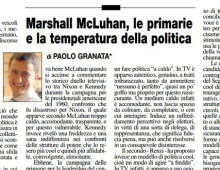 Editorial review by Paolo Granata (in Italian) published by “Corriere Canadese” December 1, 2012. 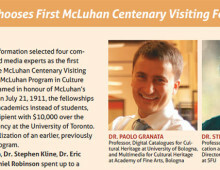 Article published on “Informed“, Faculty of Information, University of Toronto, Fall 2012 . 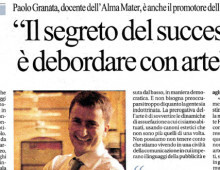 Interview by Paola Naldi published on La Repubblica – Bologna, 2012, January 24, about ArteFiera, artistic experimentation, art and new media. 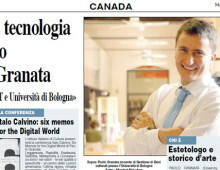 Interview by Caterita Rotunno published on “Corriere Canadese” 2011, December 6th, about new media, arts, aesthetics, techonology, Marshall McLuhan and Italo Calvino. 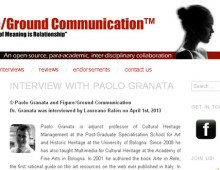 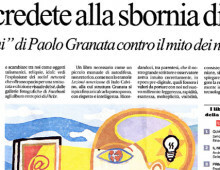 Review by Michele Smargiassi to Paolo Granata’s Arte, estetica e nuovi media, “Repubblica”, April 6, 2010.